But a lot of commenters quickly pointed out that the story featured racist story elements that are no longer acceptable to modern eyes. Japanese villains were given the typically monstrous depictions seen in World War II propaganda and Steamboat, a black character, was portrayed in grotesque, minstrel-esque style. DC Comics clearly thought twice about it and has decided to pull the plug on the edition, which was due this winter. 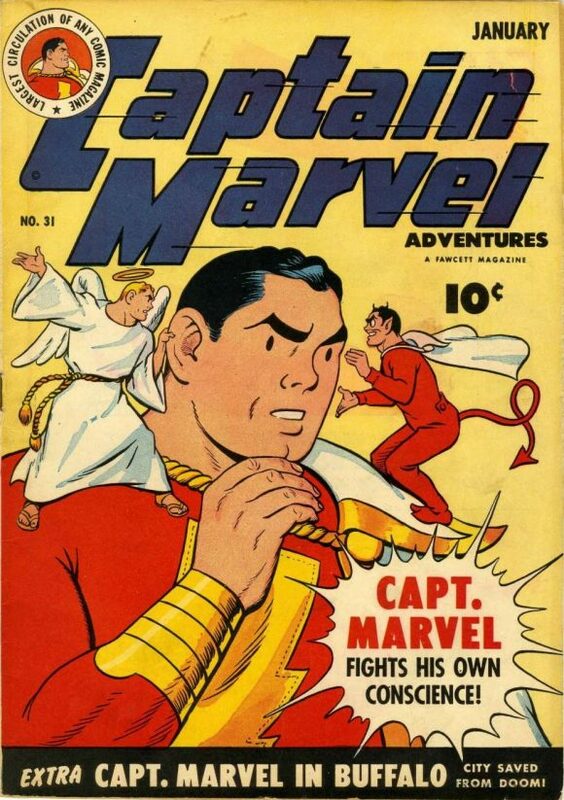 The storyline ran in Captain Marvel Adventures #22 to #46. It’s a thoroughly understandable decision, but at the same time, I’d rather see an edition that featured essays and commentary that put the story and art into their proper historical context. (The book was to include two essays but it’s unclear whether they would have addressed the issue.) I’m just not a fan of kicking dirt on the past, though I appreciate the argument that something like this doesn’t need to be reprinted. In any event, it would be too easy for people in these polarized times to misunderstand and misrepresent the intent of publishing the material — and the last thing DC and Warner Bros. want with the feel-good Shazam! movie coming out next year is to court this kind of controversy. I get DC motivations but having just watched Batman and Bill it seems that the corporate motivations have more to do with protecting financial interests then helping to change the social dynamic in this country which still needs a lot of work. They could have contributed to that but did not. Let it be remembered at least at Fawcett the character Streamboat was removed because people took action to make it happen. It was activism if you will. That story could have been communicated to an even wider audience in the context of this book being republished. Its idiotic. A $ 50 hardcover isnt a comic book that is usually bought by 13 year olds, its mainly for the collectors market and mature readers. They could have included a critical commentary or two. And if you look at the content of other GA Archive reprints, there is some dubious stuff too. 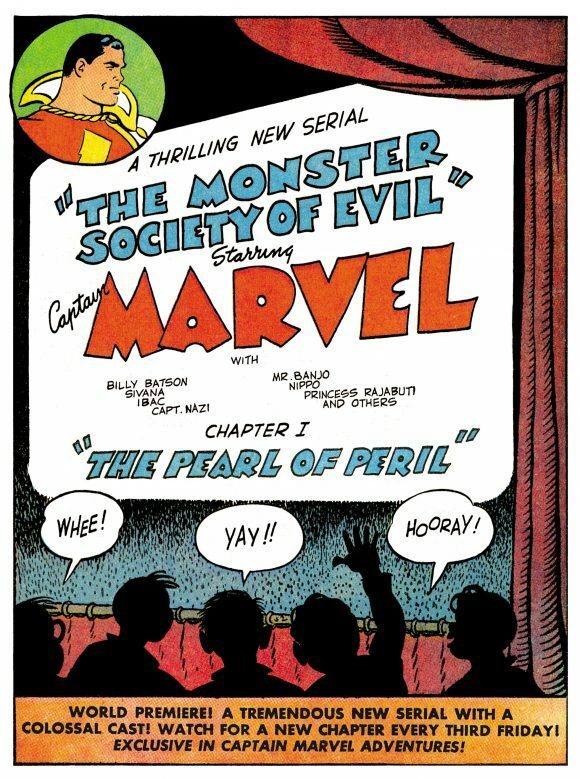 To the best of my recollection, this is either the third or fourth time that someone has announced a deluxe hardcover edition of this legendary serial (the original copyrights had expired and not been renewed). I’m not sure that any of those earlier-solicited versions ever saw publication, either. You used to be able to view the story (in a digital collected format) over at the Digital Comic Museum, but apparently they removed it from the site when DC announced its intention to publish the hardcover collection (fortunately for myself, I had the foresight to download it before they removed it, so I can still read the story).